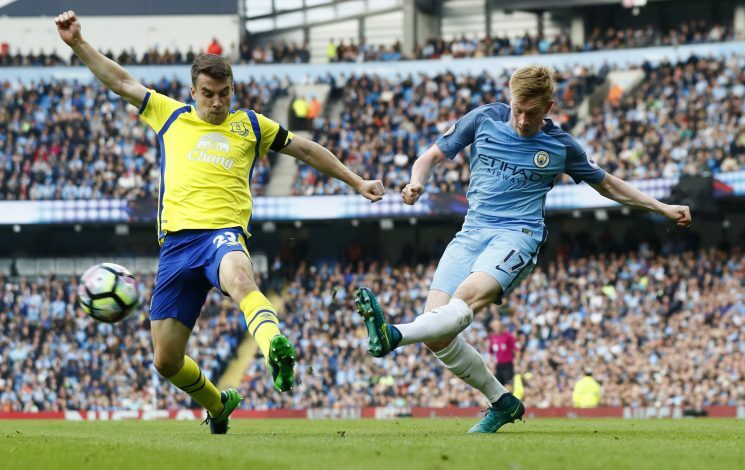 There are claims that Everton right back Seamus Coleman might have renewed and surprised hopes of moving to Manchester United during the transfer deadline day, with Jose Mourinho currently looking to boost his squad with a natural right-back. The Red Devils currently have Antonio Valencia as a starter in that position, who despite performing decently, is a right winger by nature. Hence, the addition of Coleman could add balance in their line up. The Evertonian is currently playing RWB under Ronald Koeman, and has scored 4 goals this season after returning from his injury. The player joined the Toffees in 2009, and has grown to become one of the best right-backs in the league. Such an image has always led to rumours of Coleman leaving for a bigger club, but no such deal has ever turned out to be true and successful. However, with the rise of Holgate, Everton are well stocked in the right-back area, and the departure of Coleman could be a damage they may well be able to cover up for. Coleman’s inclusion in the 2015 Premier League team of the season is enough proof as far as the player’s capabilities are to be judged, and hence, a position at the highest level at Old Trafford might be possible. After the departure of Gibson in 2012, United have not had a Republic Of Ireland representative at the club, and the exit of Paddy McNair last year leaves them without anybody from the island of Ireland. With Gibson leaving Everton to Sunderland in this window, and McCarthy linked with the Championship, plus McGeady out at Preston on loan, Coleman is the last Irishman left at Everton, and given their recent contributions for the Toffees, letting him go might be a wise decision.